Since 1977, Family Pest Control has been providing home and business owners throughout the greater Wallingford, CT area with a full range of pest control services. We are a third-generation, family-owned pest control company with more than 35 years of experience making sure your home or business is pest-free. Call us today to let us know how we can help with your pest control needs. 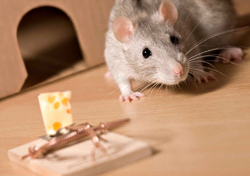 If you have rodents scuttling around in your home or business, you have a serious problem that requires quick, decisive action. Not only do you have the health risk of having mouse or rat droppings around your home, but you also have to worry about them digging into your walls, chewing on wires, and causing damage to your property. Our team of experts can make sure that all rodents are rid from your property, while also taking extra measures to try keeping them out for good. Call to schedule an appointment for us to handle your rodent problem.